After repeated recommendations from my massage therapist and doctors to seek Pilates instruction to help strengthen my core and control my chronic back pain I started training with Kelli through private sessions. From the time of being only 18 years old, after a major fall, I often experienced back pain. I had major difficulty getting in and out of the car, struggled with walking and any activity involving me on my knees, along with immense difficulty moving from sitting to standing and I couldn't lie down without experiencing spasms. After being carefully assessed by Kelli she has developed an exercise program taking into account my health, injuries and age, now being 66 years old. I'm very impressed with Kelli's knowledge of anatomy and she has been infinitely patient in her ability to teach me how to relax my spasms and improve my overall health. Kelli has worked alongside with my chiropractor, massage therapist and spinal manipulation doctor. 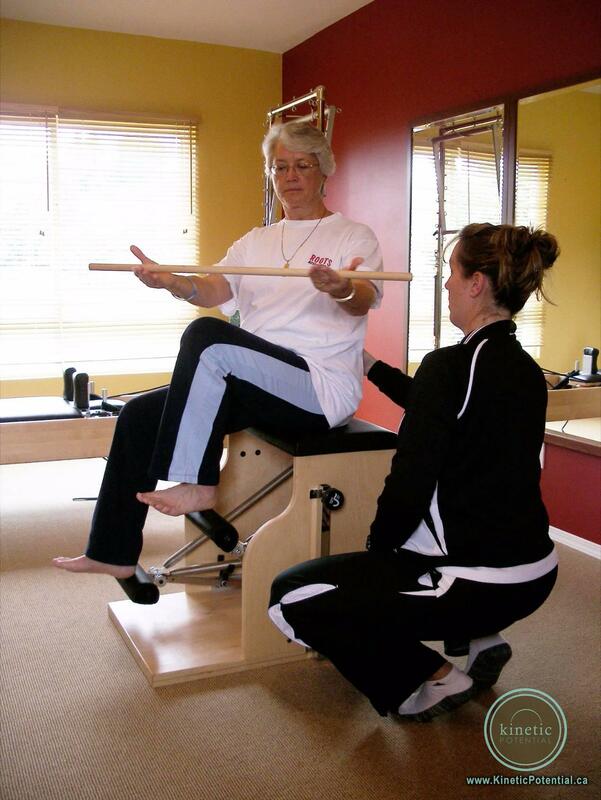 Skilled at being able to rehabilitate the body from physical challenges, injuries and weaknesses, she applies her comprehensive understanding of pilates, body work and movement to the issues at hand. I have been with Kelli for about 9 years and thanks to her I'm now more stable and better aligned. I can walk upright with vastly improved posture and my feet properly positioned.